A prolific burglar spent the month of March breaking into at least 18 businesses across the city, crawling through roof vents, smashing through doors, and even tearing down walls to gain access to valuables, according to a new Chicago police alert that affects four police districts. Cops first warned about the burglar late last month when they connected him to a series of after-hours break-ins at Loop restaurants. 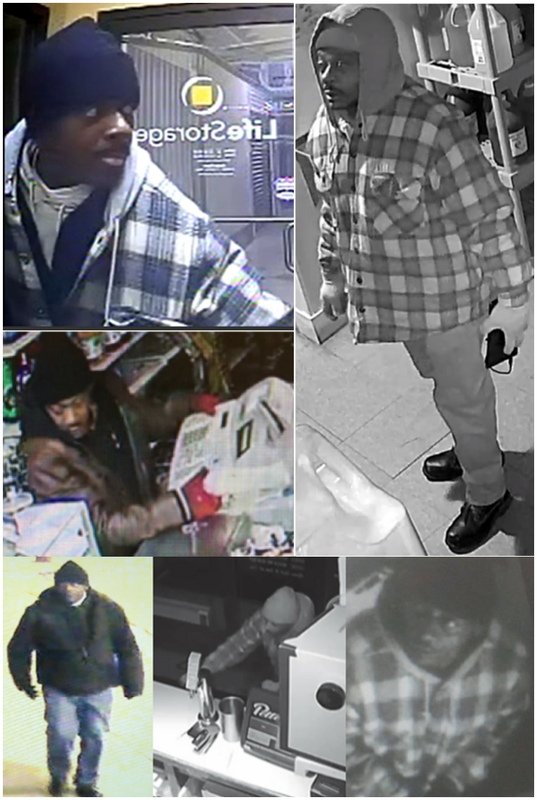 Detectives now say the same man has broken into restaurants, convenience stores, and storage facilities repeatedly since March 2nd. “The method of entry has varied based on the structure,” police said in the alert. He entered through the roof vents on some one-story buildings. Larger structures have had their doors or windows pried open or shattered. Once inside, the man will demolish walls to get into offices and secured spaces, police said. • 200 block of South Cicero on March 2 at 3:31 a.m.
• 400 block of South Laramie on March 3 at 2:47 a.m.
• 500 block of North Laramie on March 5 between 4:40 a.m. and 5:50 a.m.
• 4000 block of West Grand on March 8 at 4:35 a.m.
• 4500 block of West North on March 8 at 4:07 a.m.
• 0-100 block of West Madison on March 11 at 5:27 a.m.
• 500 block of West Lake on March 14 at 3:00 a.m.
• 300 block of North Laramie on March 17 at 3 a.m.
• 0-100 block of South Cicero on March 18 at 5:38 a.m.
• 300 block of South Laramie on March 19 at 4:13 a.m.
• 6600 block of West Diversey on March 19 at 12:00 p.m.
• 0-100 block of North Dearborn on March 20 at 7:19 p.m.
• 4500 block of West Grand on March 21 at 12:33 a.m.
• 0-100 block of North Dearborn on March 22 at 11:06 p.m.
• 0-100 block West Randolph on March 22 at 11:21 p.m.
• 4800 block of West Chicago on March 31 between 5:00 a.m. and 9:30 a.m.